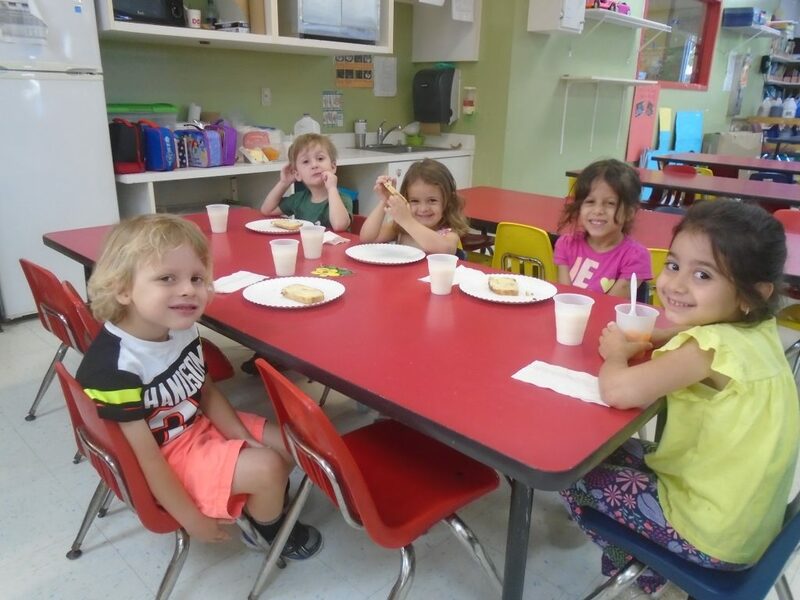 Kidstown Learning Center provides kids a nutritious breakfast, lunch, and p.m. snack for all children one year and older. Each meal will consist of several items from the four main food groups, providing the energy and nutrition your child needs for a productive day in school. Lunch: 11:30 – 12:00 p.m. P.M. snack: 3:00 – 3:30 p.m.
All children are required to drink milk or equivalent at breakfast and at lunch time, according to the Child Care Food Program Meal Pattern for infants and preschool children. If your child is allergic to cow’s milk, parents are required to provide an equivalent substitute. Children can bring their own food as long as it meets the nutritious requirements established by the Child Care Food Program.